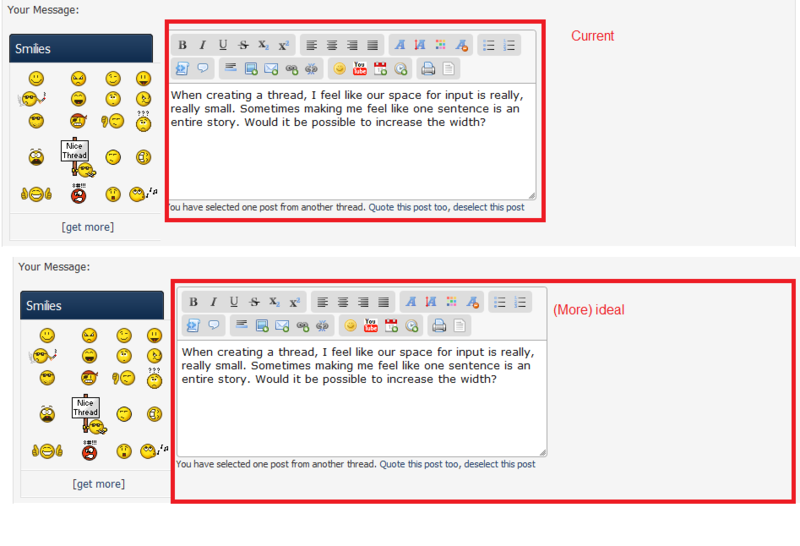 When creating a thread, I feel like our space for input is really, really small. Sometimes making me feel like one sentence is an entire story. Would it be possible to increase the width? The reply box on the other hand seems fine. Good suggestion. I've been meaning to get to it. What do you think of it now?